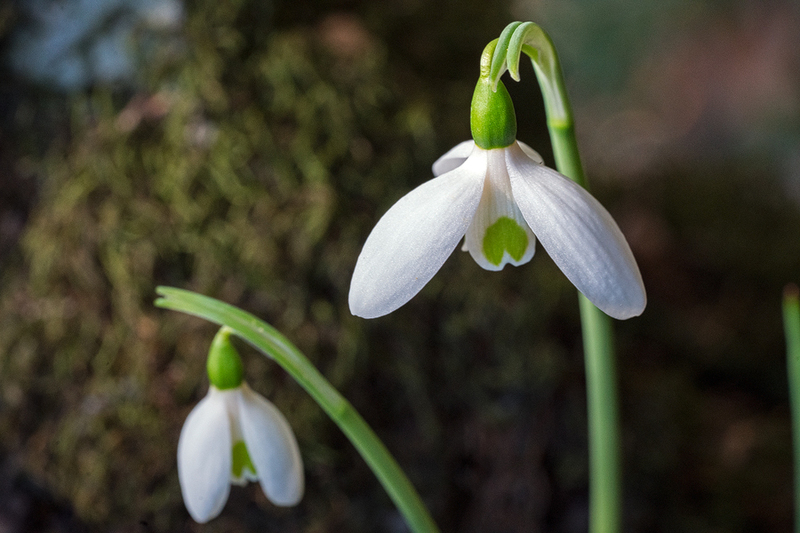 When Aaron Davis published his monograph of the genus Galanthus in 1999, an unresolved mystery surrounded the status of the plant that was variously referred to as G. caucasicus or G. elwesii var. monostictus. This plant had convolute vernation, glaucous leaves, which were straight, not twisted as in G. gracilis, and a single green mark at the apex of the inner segments (as opposed to the two marks, one apical, the other basal of typical G. elwesii). It was common in cultivation, with many named cultivars, but Davis wasn’t aware of any wild populations and had not found any specimens with a single apical mark among the hundreds of G. elwesii he had examined in herbaria. Therefore, he did not treat G. elwesii var. monostictus as a valid botanical entity. 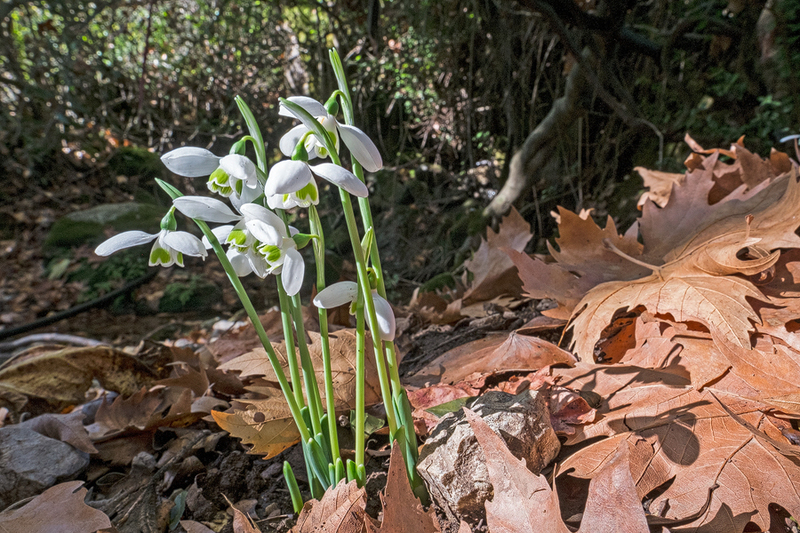 Since then, wild populations of autumn-flowering G. elwesii, with a single mark on the inner segments have been found in SW Turkey, near Antalya and presumably ought to be formally named. Just as Cyclamen maritimum from this area has recently been shown to be sufficiently evolutionarily divergent from Cyclamen graecum to be deserving of specific status*, I should not be surprised if botanists in due course conclude that these populations of G. elwesii ought to be ‘elevated’ to species rank. 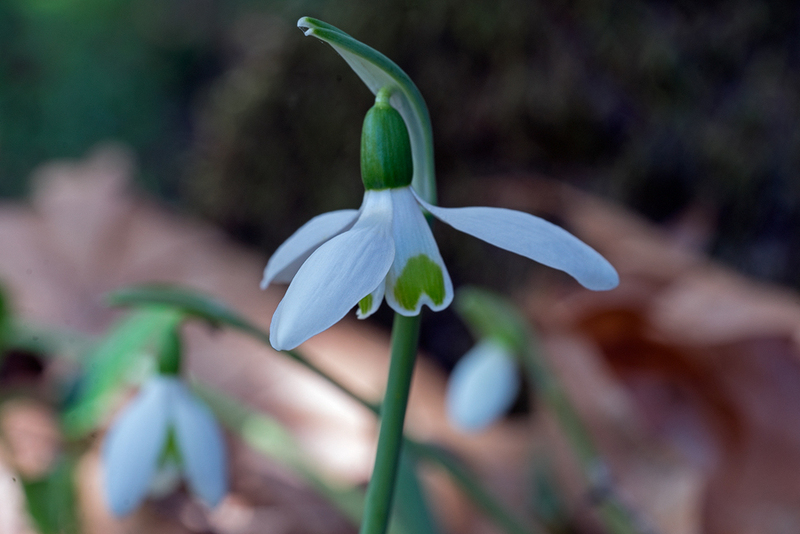 Recent studies have shown quite convincingly that Galanthus elwesii is polyphyletic, i.e. comprised of several independent lineages** and it is plausible that these early-flowering populations are one such lineage, in the process of diverging from a common ancestor with other G. elwesii. 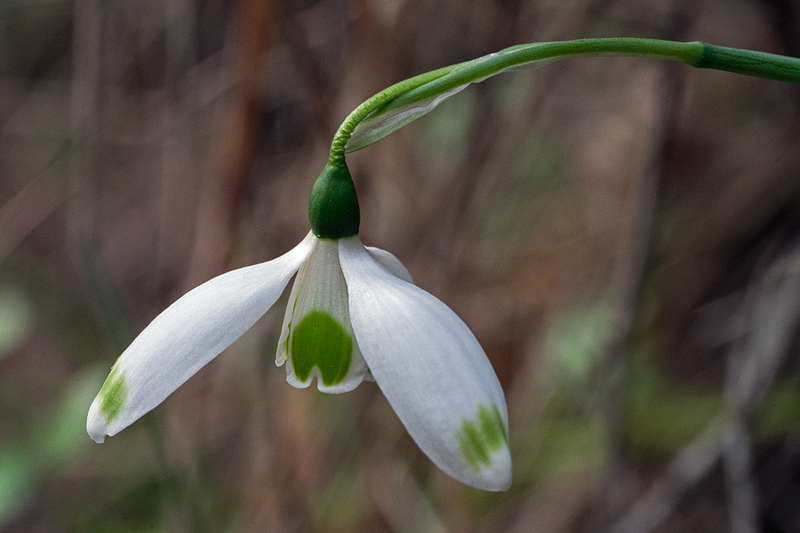 Galanthus elwesii var. monostictus, flowering under plane trees and myrtle, SW Turkey, 24/11/15. In late November, I came across one of these populations, just starting to flower, on the banks of a small but fast-flowing stream, under pines and planes, with Myrtle (Myrtus communis) and holm oak (Ilex sp.) casting deep shade. 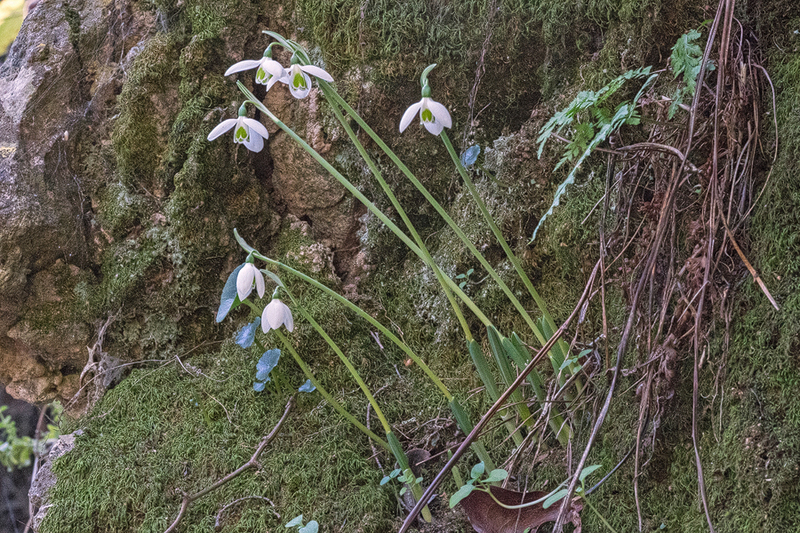 The snowdrops were growing in small pockets of soil and crevices on rocks and in the stream bank, where the soil was quite moist, although there had been little rain here recently. 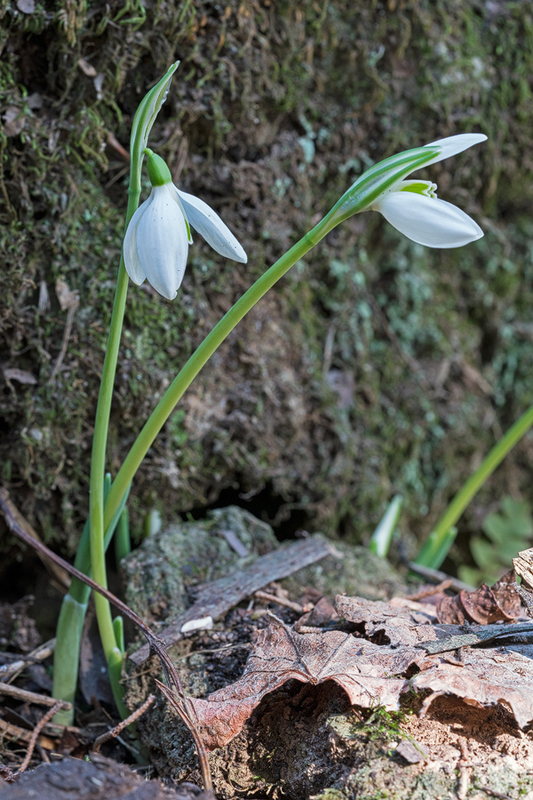 Galanthus elwesii var. 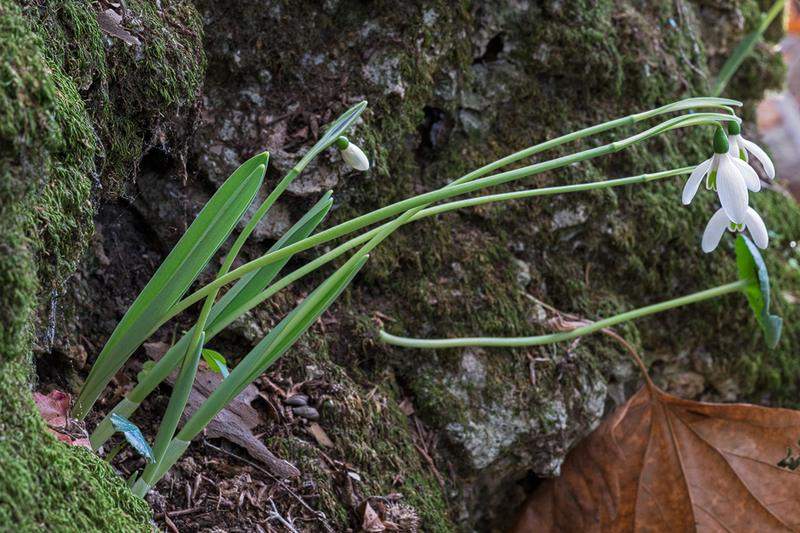 monostictus, with leaves well-developed at flowering time, growing in a crevice on a limestone boulder. SW Turkey, 24/11/15. G. elwesii var. monostictus, with leaves only just emerging at flowering time. SW Turkey, 24/11/15. The leaves were emerging simultaneously with the flowers and were between a couple of centimetres and 15cm long when I saw them. The vernation was clearly convolute and the tips of the leaves were hooded (‘cucullate’, in the jargon). The plants were growing either as single bulbs or as small clumps of a single clone. Most were rather small in stature, the scapes being less than 15cm tall, but many had probably not yet completed their growth and many plants were still emerging and in bud on the date that I visited, 24/11/15. The population was in the early stages of flowering, when I visited on 24/11/15. The flowers were hugely variable in size and shape. The outer segments of a small sample ranged in length from 1.5cm to 4.0cm. They were distinctly concave, with the margins slightly flared, like the rim of a tin helmet. Many plants exhibited distinct longitudinal ridges on the outers. The length of the claw was variable: examples with long claws had the most elegant flowers. In some cases the outers were exceptionally elongated. 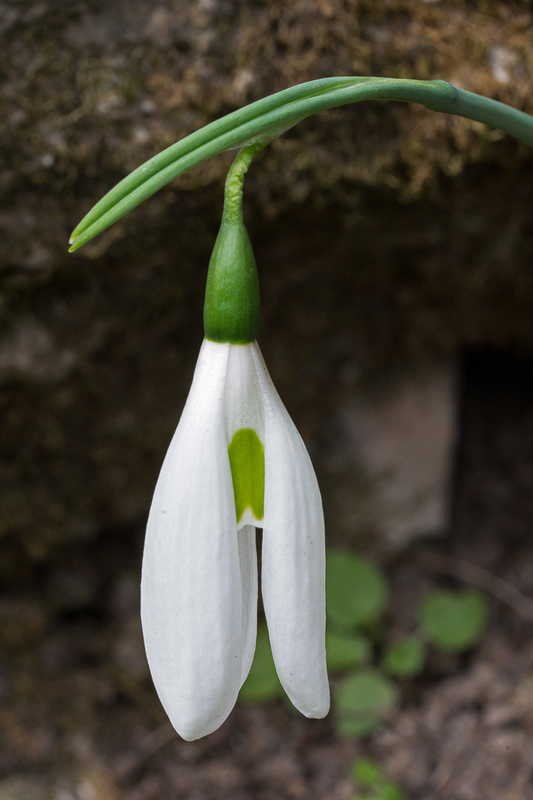 Galanthus elwesii var. monostictus with long, narrow outer segments. SW Turkey, 24/11/15. A typical flower of G. elwesii var. monostictus. Note the slightly flared margin of the outer segments. SW Turkey, 24/11/15. The inner segments were roughly triangular, narrowest at the base, with a small sinus at the apex of the segments. It is sometimes stated (e.g. in Aaron Davis’s monograph) that G. elwesii has completely flat margins to the inner segments, but this is not the case, at least in this population, as the accompanying pictures illustrate. A single mid to bottle green mark was present at the apex of each inner segment, in a large majority of cases covering about 1/3 of the segment, on the adaxial (outside) surface. The mark was roughly in the shape of an inverted heart, with rounded lobes. In a few cases, the apical mark extended over half of the segment and, in very rare cases, the inner segments were entirely green, except for a narrow, white rim, a condition known in the jargon as ‘virescent’. Variation in inner segment markings in G. elwesii var. monostictus. SW Turkey, 24/11/15. 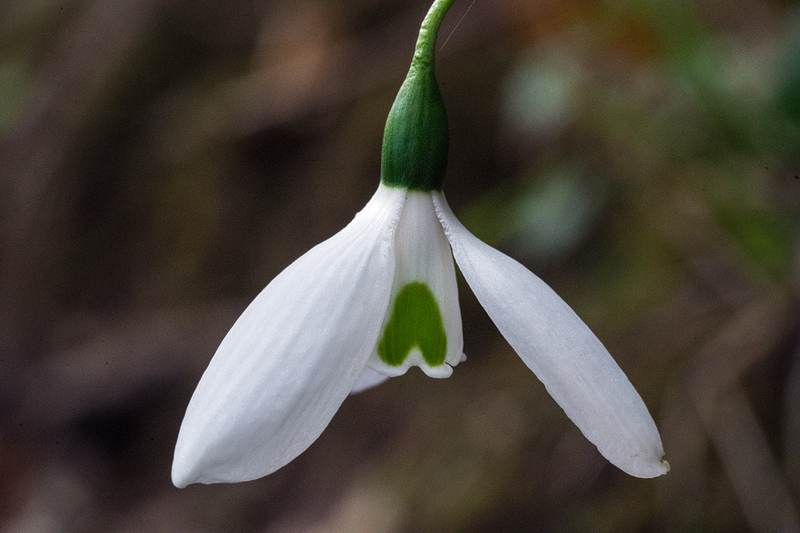 As in almost every snowdrop population of any size that I have ever examined, there was a small proportion of mutants. In this population, the commonest mutation appeared to be green marks, of variable extent, near the tips of the outer segments. In some very beautiful plants, this was associated with virescent inner segments. I saw a single plant with four outer and four inner segments. A variant of G. elwesii var. monostictus with green tips to the outer segments. SW Turkey, 24/11/15. A variant of G. elwesii var. monostictus, with four inner and four outer segments. SW Turkey, 24/11/15. It would be fascinating to find and study other populations of this beautiful taxon, to determine how rare or otherwise autumn flowering populations are in the wild. Such populations are certainly not particularly common. I searched many apparently suitable patches of habitat quite carefully, and failed to find any other populations in flower. Subtle differences in microclimate between one site and another probably result, however, in substantial differences in flowering time. 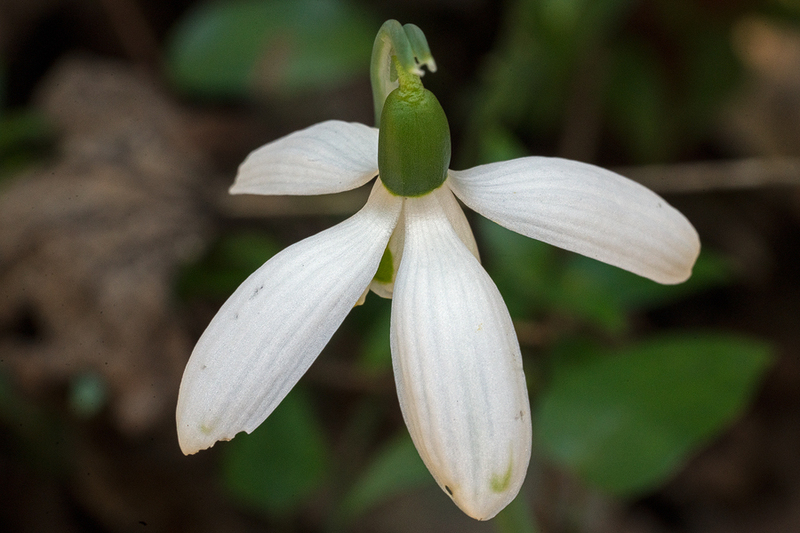 * Culham, A. and Konyves, K. (2014) The Cyclamen graecum group, how many species? Cyclamen, 38 (2). pp. 70-76. ** Rønsted, Nina, et al. 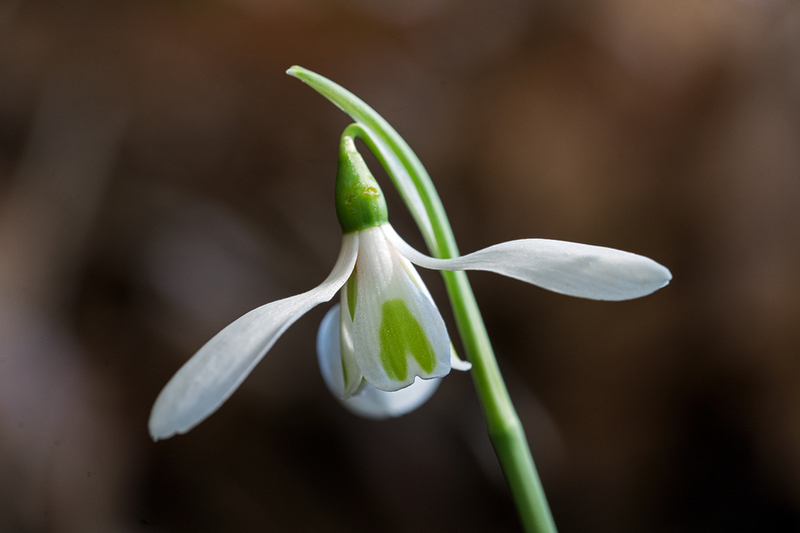 (2013) Snowdrops falling slowly into place: an improved phylogeny for Galanthus (Amaryllidaceae). Molecular Phylogenetics and Evolution 69: 205–217.